JukeBooth LLC is proud to announce that since created in 2018. We are now the #1 Photo Booth /DJ Company in New Jersey on Gigmasters and Ranked #2. We would like to thank all of our JukeBooth Family Clients for putting your trust in us for your special day and in return leaving some AWESOME TESTIMONIALS about your experiences with us. It's a great feeling being told that what we do is AMAZING with our presentation, large assortment of Props and accessories, our awesome green screen backgrounds, custom one of a kind templates and just their overall experience of our services. All JukeBooth services are listed below and have special discounted rates when you choose 2 or more. *Fully Insured and will e-mail certification if needed, to your venue and yourself once a signed contract is received and reservation deposit paid. 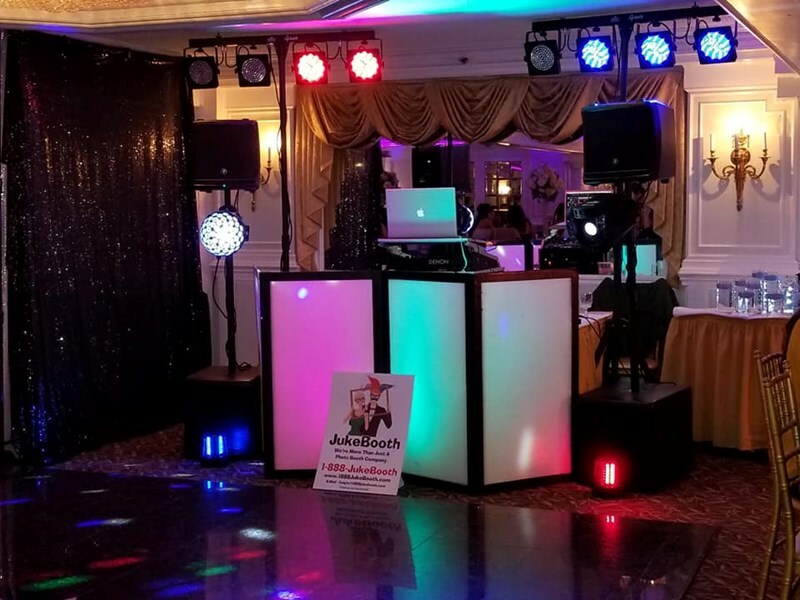 *Choice of open air booth w/choice of color sequin curtain backdrop or green screen (or) multi colored LED inflatable booth w/white or black exterior and white interior or a Black curtain enclosure with burgundy entrance for those private poses. *Up-Lighting outside of booth for eye catching appearance. *Choice of 2x6 or 4x6 prints w/custom design to match your theme. *Large selection of deluxe props, accessories and funny signs (We have the LARGEST SELECTION AROUND) all listed in detail on our website. *USB stick of all photos taken from event for you to keep after event. *Scrap book of all photos taken at event for you to keep after event. *Photos all saved on JukeBooth website for downloading and sharing purposes for your guests at event. ******Upgrade available for our new LED Color Changing Photo Booth which has built in monitor on outside for guests to view of all templates that were taken during event. *Professional DJ Audio Setup (Mackie) with over 2000 watts of power and Wireless Microphone. *Professional Lighting Package that includes a total of 5 different types of effects: par lights, strobes, LED disco ball, police beacons and laser effect. *MP3 top quality audio music played on Virtual DJ Professional Software with monthly subscription access of downloading of songs from cloud database. *request songs from your seat or on the dancefloor on your phone. Go to "Ask.The.DJ" and select JukeBooth. You will be able to leave message with DJ to play a song, make an anouncement or ask a question. DJ can resond back with a reply. You can even leave a small tip as appreciation using PayPal Account. *Can also play in different room for ceremony or cocktail hour with portable sytems for all your Wedding Needs. *Professional Photographer dressed all in black w/embroidered JukeBooth Logo Polo shirt. *Professional High Defination Camera Sony A73 with stand by fully charged batteries all the accessories. *We offer Complete day coverage which includes: Bride's House getting ready, ceremony/church, park/pre reception photos, and event/reception coverage or just one or more of your choice listed. *Photos are presented to you on usb or memory card at end of event. *Professional Videographer dressed all in black w/embroidered JukeBooth Logo Polo shirt. *All footage will be taken back to studio after event for editing (upto 6 hours of editing) Once finished it will become a beautiful cinematic keepsake video for you and your family to enjoy and will be shipped on DVD, and usb for you to keep. Awesome team. Very helpful and good at coordinating. Made a great template for my graduation party. Bought props to go along with my police/ graduation team. Overall definitely recommend! We used Jukebooth recently for a bridal shower and it was very nice. There were a lot of props to choose from for the photos and our guests really enjoyed themselves. The custom print outs were a nice tough and it was good having unlimited photobooth prints as well. Overall we really enjoyed the photobooth and had a great time. I had booked Jeff's photobooth service for my son's one year old Mickey Mouse themed birthday party. Within minutes that I had booked his service, he had ordered Disney props specific to my theme and made a customized Mickey background that would be on the printouts of the pictures for all of my guests in which they got to take home. The prices are very reasonable for the services provided. Guests of ALL ages LOVED the photobooth and they are still talking about it! He provided me all of the pictures on a flash drive. He has an extremely large variety of props in addition to the Mickey props.If you are thinking of booking a photobooth don't hesitate to contact Jeff! Jeff was an absolute pleasure to work with from the first text he sent! He came extra early to set up all of his amazing props and equipment! Everyone had a fabulous time taking pics...from the toddlers to the grandparents! The pictures were beautiful and clear and jeff printed as many copies as each group wanted and gave us a memory stick with all of the photos at the end of the event. jeff is easy to work with and very accommodating! Highly recommend him without any hesitation! 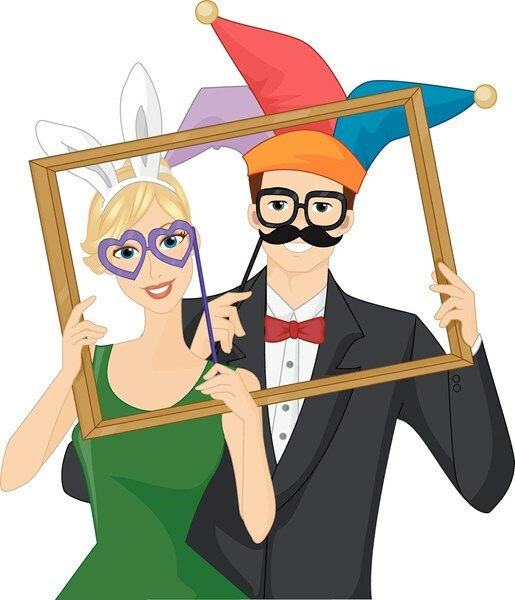 You will love working with him and your guests will love the photo booth! Would give him 100 stars if we could!!! We had a wonderful experience with Jeff. He did our daughters sweet 16 and it was a blast. Jeff was extremely personable and easy to work with from the very beginning. The entire room was up and dancing. The music was on point for both the kids and the adults. The photo booth was great. Jeff has such a large selection of props that everyone just kept going back for more pictures. The adults had just as much fun!! I highly recommend Jeff for your next party. You will not be disappointed!!! Extremely happy with the overall experience from start to finish. Very easy going and accommodating; played all the music requested; managed to get all the kids up and dancing! Would highly recommend to family and friends! 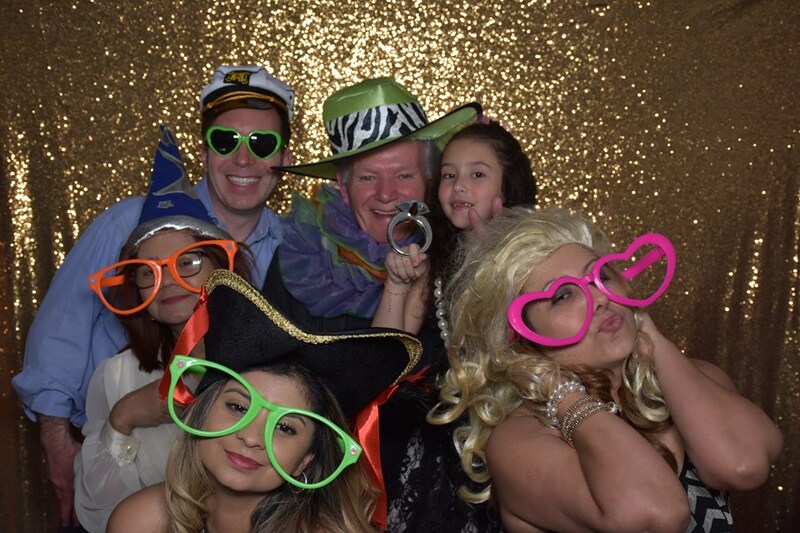 My entire family and other guests at the wedding were extremely impressed with Jeff and his photo booth. We had so much fun taking unlimited pics and choosing from so many props. He was very sweet and professional. We were allowed to go in as many times as we wanted and able choose the number of pics we wanted each time. I have already recommended Jeff to some friends for their future events. I can’t thank him enough! Please note JukeBoothLLC will also travel to Kenilworth, Vauxhall, Elizabeth, Hillside, Irvington, Maplewood, Millburn, Roselle, Roselle Park, Springfield, Cranford, Newark, South Orange, East Orange, Garwood, Linden, Mountainside, Short Hills, Clark, Orange, Summit, Westfield, Harrison, Rahway, West Orange, Avenel, Chatham, Colonia, Fanwood, Kearny.